The dominance of Phil ‘the Power’ Taylor has gone and soon the five-time World Darts Champion Raymond van Barneveld will also be hanging up his darts. Raymond is in his retirement year and will leave the competitive sport after the PDC World Darts Championship in January 2020. Phil Taylor dominated the darts scene for more than two decades winning 16 World Darts Championship titles total: Two BDO World Professional Dart Titles and a further 14 in the PDC. His record of tournament wins is likely never to be beaten in the modern era of the sport. Phil raised the bar in darts and regularly topped 100 plus average. Other players just seem to look on as they struggled with an acceptable mid-nineties average. Phil, however, always seemed to have that extra dart and would punish any opponent that failed to take out a checkout. Phil was renowned for winning the bull to determine who threw first and passed the honour to his opponent. A phycological move which seemed to work for Phil time and time again. Phil would break the opponents throw and then gallop ahead. For some time, Phil became unbackable and odds for his opponents grew. The Las Vegas Classic was one of the many titles Phil won more than once! Vegas, known for its many casinos and slot machines has always been one of the players and fans favourite venues. Notability is is where Adrian Lewis gained his nickname ‘Jackpot’ after dropping the top prize on a slot machine then being unable to claim it due to being under 21 years at the time. If you can’t make the trip to the gambling capital of the world you can find some free spins and great deals Casinomartini on a variety of online games. Michael seemed to takeover where Phil left off. He has been the player to beat over the past couple of years. However, recent form and a glut of new players have made it extremely hard for any player to dominate the scene as Phil Taylor did. Michael is the current, three-time PDC World Darts Champion. He won his first major title at the age of 17 beating Martin ‘Wolfie’ Adams in the BDO Winmau World Masters. Micheal’s move to the PDC initially took its strain he didn’t win the matches the pundits expected to win. It took a couple of years before ‘Might Mike’ found his feet and learn from the best what it takes to become a champion. Micheal now holds some of the best records in darts and has the highest televised average of 123.4 which he achieved in the PDC Premier League in 2016. I feel there is still more to come from the young Dutchmen. There are of course some new players that have joined the PDC and some young players that are starting to move up the PDC order of merit. The three-time back-to-back BDO World Professional Lakeside Champion gained a PDC tour card in January 2019. He has already won a PDC Players Championship round and is destined for greater prizes in the coming years. Glen is currently holding down a full-time job as well as playing professional darts. However, from May 2019 he will be a full-time professional darts player. Glen has decided to pack in his day job and concentrate on winning more in the lucrative PDC darts competitions. With £14M in prize money up for grabs in 2019 who can blame him! Joining Glen from the BDO is Mark McGeeney. The former BDO No.1, know as ‘Gladiator’, is still finding his feet, however, he has made his first semi-final in the Players Championship. 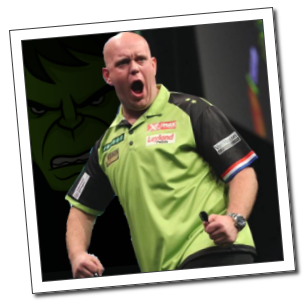 When on form Mark can mix it with the best and with his new Unicorn darts he is likely to do just that over the next couple of years. 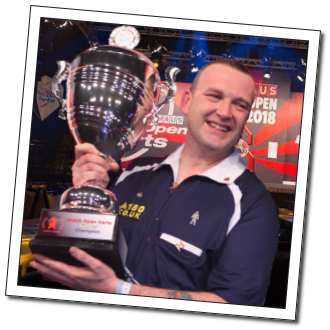 In the BDO Mark became the 2018 BDO World Champion runner-up and a two-time back-to-back Dutch Open winner. Reportedly the Dutch Open is one of the hardest darts tournaments to win due to the sheer number of competitors that enter the tournament. Mark, like Glen, made the switch to the PDC in January 2019. He narrowly missed gaining a PDC tour card on the first day of the competition, losing in the final. He did, however, win on day two and his performance over the two days shows he is likely to be one of the best new players on the PDC circuit. Two new dart stars that we will see more of during 2019 are Nathan Aspinall and Dimitri van den Bergh. Nathan had a great run at the 2019 World Darts championships and followed this by winning his first major TV darts tournament, the UK Open. In just a couple of months, the young man has added £200,000 darts competition winnings to his bank account. Nathan is now ranked No.16 in the PDC Order of merit, meaning he will gain automatic qualification to some events should he remain in this spot. 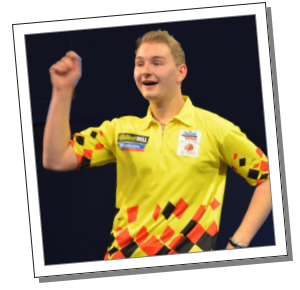 Dimitri van den Bergh is the two-time PDC Youth Champion and has shown he is certainly a player to watch, even if it is only for his pre-match dance moves! He is ranked No.29 at the time of writing, however, as an outsider Dimitri is on the way up and can on his day beat many of the higher-ranked players as he proved in the 2019 World Darts Championships.